Not only are the best and the brightest of British talent beginning to expect to work in fantastic and funky offices, but there have also been numerous studies that have shown that they can actually increase productivity. When people work in an engaging and exciting space that both makes them feel valued and allows them to work in a more collaborative and creative manner, they are more likely to not only worker harder but also stay at the company long term. So what are some of the companies that have got this right and have some of the coolest offices in the UK in 2018? In no particular order…. The property listing’s company’s offices in London have been designed to feel like a house (albeit a very posh one! ), with themed areas such as a library, living room, wine cellar, treehouse and even a meeting room that looks a like a swimming pool. Onsite perks include a coffee bar, gym with a fresh towel service, free breakfast and snacks, and the now ubiquitous games room. In their aptly named ‘Fruit Towers’ London HQ, Innocent have designed their offices to look and feel like a quintessentially English village fair; complete with astroturf floors, picnic style benches and miles and miles of bunting. Set in a 10,000 sq. ft. Victorian castle in Cirencester, the comparison site’s HQ includes features such as a Star Wars themed cinema, meeting rooms modelled on ice caves and ski lodges, a library with a hidden door and an onsite gym. This funky fashion brand has followed its own trend with its playful and creative offices in Manchester. Think eons of pink, a plethora of unicorns, swing seats, a selfie tunnel and a series of captions across the walls – my favourite being ‘don’t worry be yonće’! This big data firm based in London is promoting the fact that data most certainly isn’t boring through both its brand name and fantastic offices. Meeting rooms are designed to ‘transport your mind’ with one being based on the Tardis and another set out as a retro train carriage. 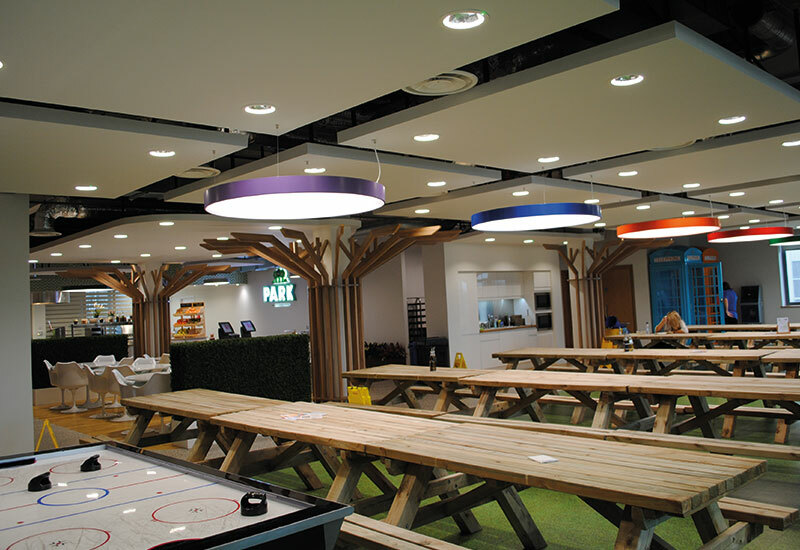 The online white goods and electronics retail giant AO, aims to recruit and retain the very best staff into their Bolton offices with onsite perks such as a subsidised onsite salon, restaurant (the Park) and Starbucks, along with free drinks and snacks, the obligatory games tables and loads of fun company events for employees. Meeting rooms are filled with Lego or football themed. The healthcare and beauty chain’s huge 6 floor, 55,000 sq. ft. head offices in Croydon embody many of the brand’s features, especially with the onsite brow and nail bar and the wellbeing clinic. 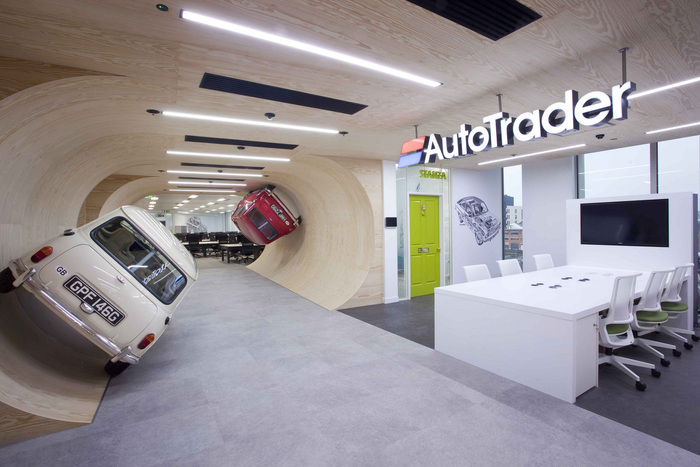 With office bases in both London and Manchester, AutoTrader gives you no doubt as to what the company does with its car themed everything. The London office has spaces decorated with actual vintage Minis suspended at crazy angles along curved walls, whereas the Manchester office sports an old school van that serves as a coffee bar. 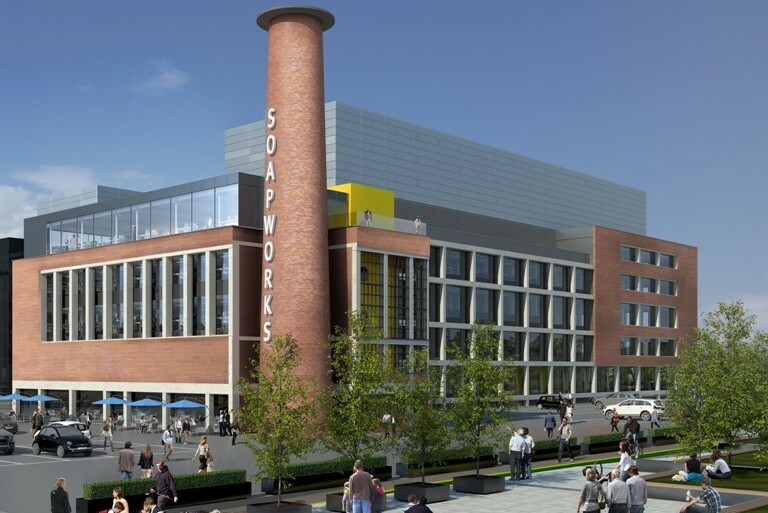 Based in the iconic old Soapworks factory in Salford Quays, the communications company’s HQ is filled with artwork depicting Manchester’s history along with a rooftop garden, pizza bar, deli and coffee station. The first office on our list to feature a slide from one floor to the next (it had to happen sooner or later), Red Bull’s Soho office also features a rooftop terrace with amazing views over the London skyline. The stand out feature of these lovely offices is the LED light installation that forms a ‘sky ceiling’ above the main atrium of the building. Thankfully it isn’t designed to mimic the often dreary sky outside, but to remain bright and to recreate the passage of the sun over the sky. We couldn’t omit the company that really kicked the cool office trend off. 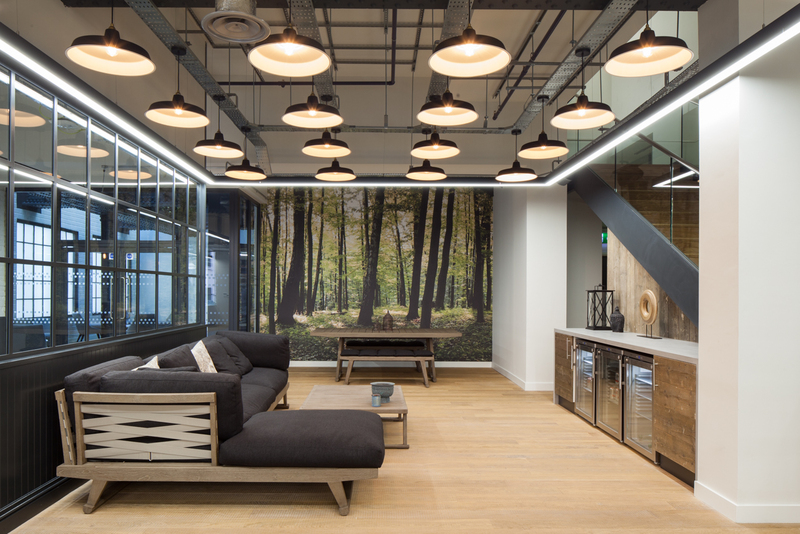 Google’s London offices feature £17,000 sofas, a running track and gym where you can check your emails whilst you work out, a full suite of complimentary restaurant standard food and even sleep pods for those well-deserved power naps. Written by John Baird from Scotland Debt Solutions. Scotland Debt Solutions specialise in helping Scottish residents overcome their debts problems through taking the time to fully understand your situation before advising on and administering a range of personal debt and insolvency solutions.